As a certified classroom music teacher, Derrick Denham is a strong advocate for music and arts education in the local Memphis community. Mr. Denham established a class piano program at Ridgeway Middle School and helped rewrite the class piano curriculum for former Memphis City Schools. Mr. Denham has maintained a private piano studio for over 15 years. He enjoys performing as well as participating in the personal musical growth of his students. He actively seeks opportunities for his students and himself to bring the joy of music to the community through outreach performances and local concert venues. Mr. Denham has performed with Wichita Falls Chamber Orchestra and was the recipient of Kemp Center for the Arts Scholarship. He holds a Masters of Music degree from Lee University and the performance Diploma from the Association Board of the Royal School of Music (ABRSM); and has had students pass the ABRSM exams with distinction. Piano has always been a part of Dr. Angela Wong's life. A native of Hong Kong, she grew up in the British music examinations, known as the Associated Board of Royal Schools of Music (ABRSM), and quickly realized the joy of collaborative piano with her fellow colleagues. After her studies at the Chinese University of Hong Kong, she studied in the studio of Anita Pontremoli at the Cleveland Institute of Music. The challenges and experience of conservatory life confirmed her decision to live as a classical musician, and pursue the Doctor of Musical Arts degree at the University of Memphis. Although Angela designs her teaching curriculum with the ABRSM assessments and examinations in mind, she believes that music learning should be a positive and fun experience. She motivates her students by giving them realistic goals while reinforcing the learning process. We proudly announce our Artist-in-Residence, Seymour. 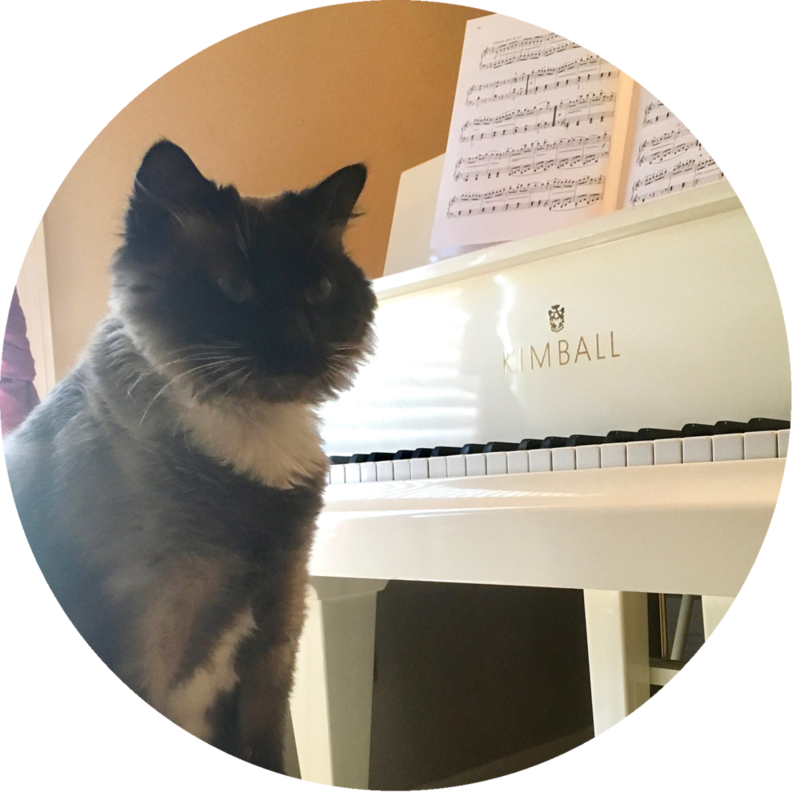 His purr-suit of the highest, artistic expression (aka wet food and tuna treats or any combination thereof) will captivate his audience and our students alike. He has a friendly demeanor and is a purr-fect addition to our meow-sical family. Please welcome Simon, our new Performing Arts Specialist, to D Piano studio! Simon inspires us with his creative ideas. He enjoys intimate purr-sonal interaction and sophisticated conversations with our instructors and students. He enriches our studio with joy and paw-sitive energy.